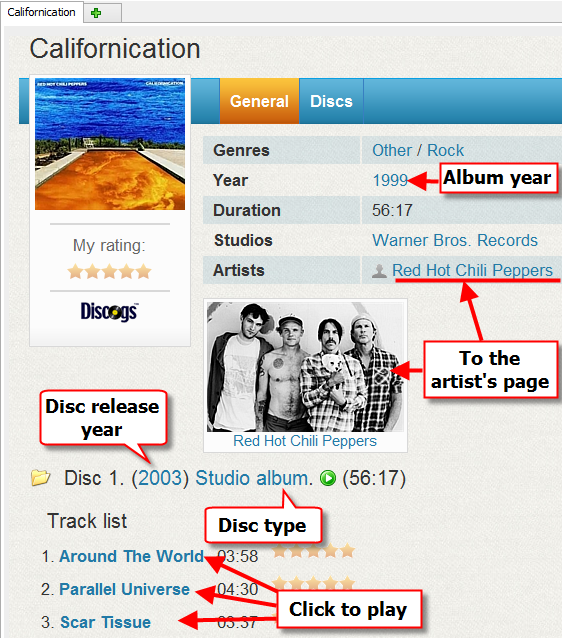 There are many ways of viewing your music albums in Musicnizer. 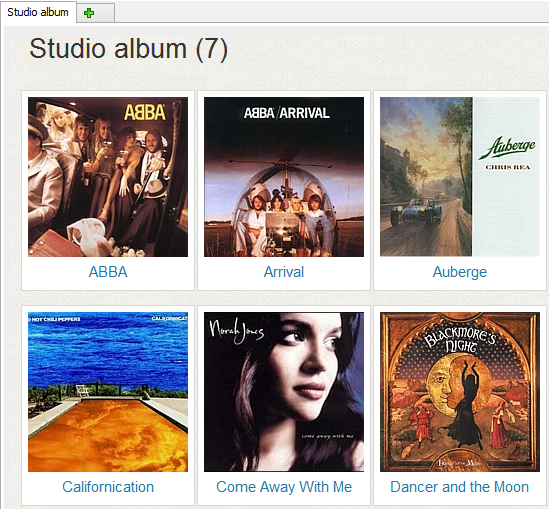 On the "Albums" tab, albums can be sorted and filtered in several ways. The "Collection" tab offers additional sorting methods with the option to create your own ones. All albums of an artist can be seen in the artist's discography. 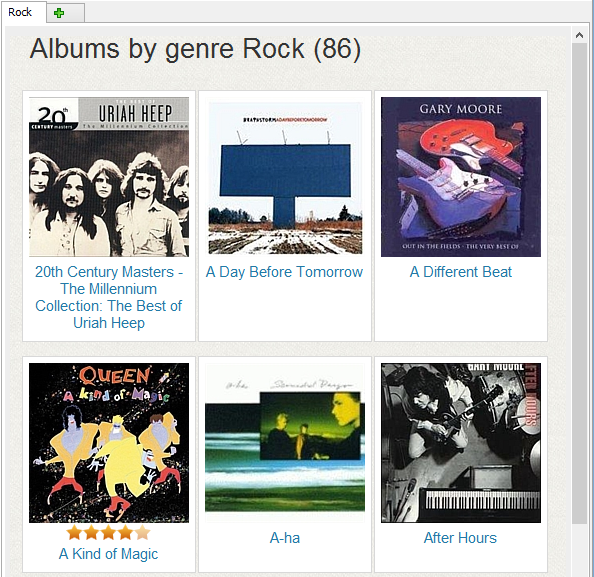 Furthermore, the music organizer offers extended filters and the "Search" tab. But there are also hyperlinks everywhere in the program, and you can use them, too. Genres. Each genre is represented as a hyperlink. Click on the link to show all albums in this genre. Year. As a rule, this is the year of the initial release. Click on it to show all albums released in the given year. Studios. This refers to record labels. Once again, a click on this link will show all albums from your collection that were released by the given label. Artists. Click the name or the photo to navigate to the artist's page. On this page, all albums by the artist will be displayed. Below, there is a track list. If you added your albums from files or added links to music files later, tracks will be represented as hyperlinks. However, a click on a track will not open any other page, the program will simply start playing the track in its built-in or in an external player. If your tracks are not linked to audio files, there will be no hyperlinks. While you can use the "Collection" tab and extended filters to build similar lists of albums, clicking a hyperlink is in most cases an easier and more direct way to get the desired selection.